Use THREE of something in your project or card or page: 3 flowers, 3 photos, 3 words in your title or greeting. Use a French word (like Voila! or Noel) in your title or greeting. share your turkey or chicken recipes, with a photo of the bird in all its glory if possible. tell a story about a favorite comfort food your family eats at this time of the year--or that your family used to eat at busy times when you were a child. Wow, what a stunning card!! What a pretty card, Grammadee! I love the silvery sleigh and the blue foil details. 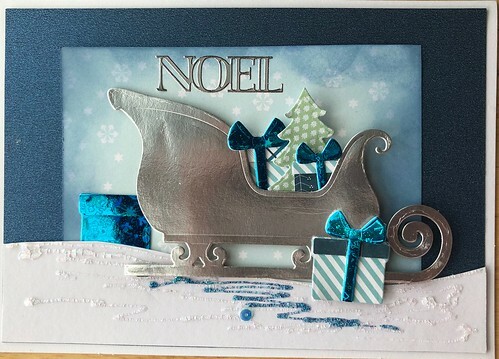 Gorgeous card grammadee, I love the sleigh and presents and your snow & Nuvo work looks fab! stinkerbelle , ta page est vraiment jolie. J'aime bien comment les quatres carreaux et la petite boucle forment un cadeau. Les petites pièces décoratives ajoutent une touche festive. Beau travail. 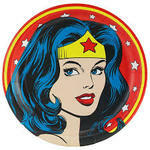 stinkerbelle , your layout is really nice. I really like how the four squares and the little bow form a present. The little embellishment pieces add a festive touch. Beautiful work. OMG, that chicken paper is perfect! I also addore the black & white striped washi, that is the perfect touch. Great title too, I had to find out more cause of that! Great LO, it's super lush!